Richard Heeks and I are organising a track at WG 9.4: Social Implications of Computers in Developing Countries on the topic of “The Data Revolution in International Development." Many have pointed to a “data revolution” occurring in business, science, and politics. As ever-more and ever-faster information is available about trends, patterns and processes, then related decision/action systems will be significantly affected. This track focuses on these changes in the context of international development, given the likelihood that the post-2015 development agenda will include a greatly increased role for data. This was particularly identified in the 2013 High-Level Panel Report – “A New Global Partnership” – one of the foundations for post-2015 discussions. The report explicitly calls for a data revolution in international development, and suggests data-related targets for inclusion within the new development goals. Technical research on new techniques specifically required for capture, input, storage and processing of developing country data. Socio-technical research on the specific issues that arise in analysis and presentation/visualisation of developing country data. Socio-organisational research on the developmental value of new data, and on the transformation of development processes and systems that new data can enable. Critical research on the politics and discourses of the data revolution. Open development data: the greater availability of developing country datasets for general use. By far the biggest growth area has been open government data which is particularly linked to improvements in transparency, accountability and service delivery. But open data can apply equally to private sector firms, markets, NGOs, and other development actors and systems. Real-time development data: the availability of developing country data in real time. To date, lagged models have been dominant within developing country data and decision-making, with data becoming available months or years after the events that it describes. The growing diffusion of ICTs within developing countries is reducing this lag significantly as crowdsensing – everything from humans reporting via their mobiles to field-based sensors – becomes a reality. The use of (near) real-time data for development decisions could enable a move to agile methods in development. Other data trends: open, big and real-time data are three main elements to the data revolution but there will be others that form part of the post-2015 agenda. These include increases in geo-locatable data, mobile data, bottom-up data, and qualitative data. For more information, please contact richard.heeks[at]manchester.ac.uk. 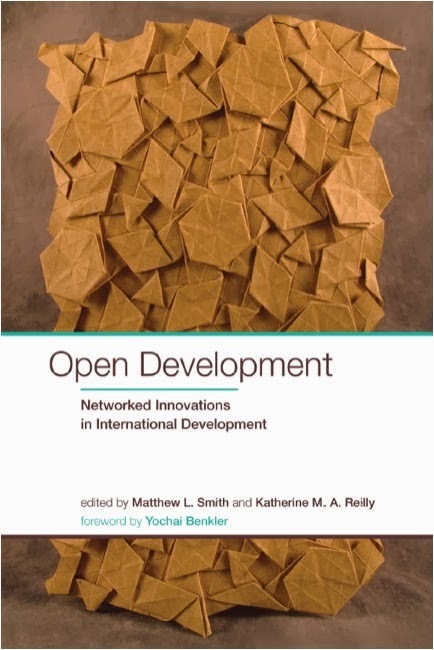 The book, Open Development: Networked Innovations in International Development, has just been released under an open CC-BY license. The book emerges from a stimulating conference organised by Matthew Smith and the IDRC in Ottawa a few years ago. You can download the full book here. A paper that I co-wrote with Håvard Haarstad has just been published in a special issue of ITID on Open Development. Commentators are now pointing to the potential for a globalization of knowledge and transparency that will harness the power of the Internet to allow consumers to learn more about the commodities they buy. This article discusses the potential for emergent Web 2.0 technologies to transcend barriers of time and space, both to facilitate flows of information about the chains of commodities, and to open up potential politics of consumer activism, particularly to influence the way goods that originate in the Global South are produced. We argue that these prospects are ultimately tempered by a number of persistent barriers to the creation and transmission of information about commodities (infrastructure and access, actors’ capacities, the continued role of infomediaries, and intelligent capture and use by consumers).